Transfer Partners: You can create AsiaMiles almost instantly by transferring Amex, Citi, Capital One or Marriott Rewards Points. Points transfers are one way only, so only transfer if you are sure you’ll use your points with AsiaMiles. Now the big move is finding a routing to places you want to go, with your combined efforts of Google Flights and GCMap. If you want to go further, you can – just check the AsiaMiles multi airline chart to see how many points you’ll need. For reference, 20,000 miles of actual distance covers an itinerary like Seattle to Hong Kong, Hong Kong to Tokyo, Tokyo to Delhi, Delhi to London and London to New York. Cathay Pacific flies Seattle to Hong Kong and both JAL and Cathay fly Hong Kong to Tokyo, and JAL flies Tokyo to Delhi and British Airways flies Delhi London and London to New York direct, so you’re good to go. Finding Seats: British Airways website is the best tool for finding OneWorld airline seat availability and it’s free. You’ll see partner results below British Airways results. Ignore the British Airways Avios Points rates. These kind of crazy multi city itineraries can be worth hiring a service like AwardExpert or JuicyMiles to do the legwork for you and find all the availability. Expect taxes and surcharges between $500 to $1200 depending on which airlines and where. Not bad for around the world, especially in style! Booking this amazing redemption will inevitably require a call to AsiaMiles. Write down the flight numbers and dates where you found availability in your desired cabin and feed the information to the agent. They’ll put it all together and help get you booked. Plan to set aside some time. Transfer Partners: You’re limited to US Amex Points, Marriott Points and flying Star Alliance Airlines. Once again you’ll want to look for direct routes to keep your mileage low, and confirm the actual distances on GCMap.com. You’ll also want to try and stick to airlines which don’t add steep fuel surcharges. 22,000 miles would be enough for London to Vancouver, Vancouver to Tokyo, Tokyo to Auckland and Auckland back to West Coast USA. An additional 15,000-20,000 points will get you all the way back to the start. Finding Seats: United.com is the best way to search for seats. You’ll want to find dates where “saver” seats are available, which signifies they’ll also be available via ANA when you make the *lengthy* call to book. Ignore the United rates, you just care about finding “saver seats”. These kind of crazy multi city itineraries can be worth hiring a service like AwardExpert or JuicyMiles to do the legwork for you and find all the availability. Expect taxes and surcharges between $500 to $1200 depending on which airlines and where. Booking this amazing redemption will inevitably require a call to ANA. Write down the flight numbers and dates where you found “saver” availability in your desired cabin and feed the information to the agent one piece at a time. They’ll put it all together and help get you booked. 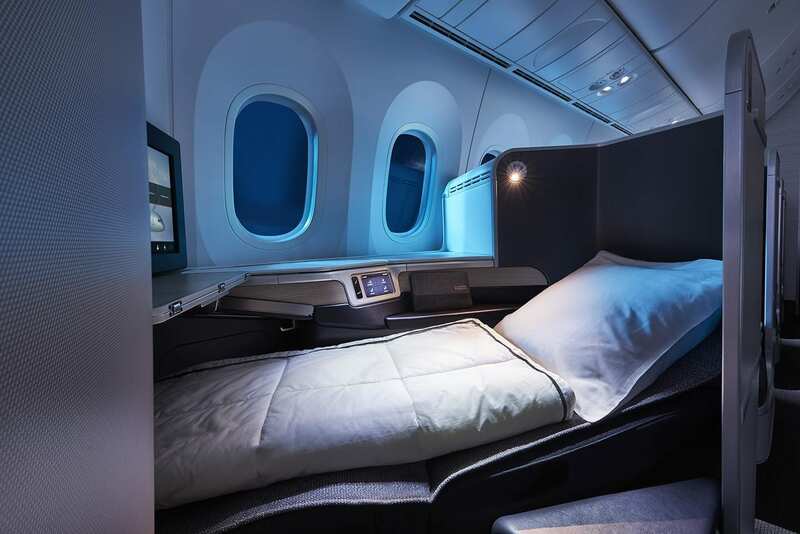 45,000 Aegean Points for Star Alliance business class USA to Frankfurt. 37,500 British Airways Avios for Qatar QSuites Frankfurt to Doha. 10,000 British Airways Avios for Qatar Economy Doha to Delhi. 25,000 Alaska Miles for JAL business Delhi to Tokyo. Stopover, then SE Asia. Virgin Atlantic partners with Air New Zealand and that’s a great look too. The point is, the points options are endless. These are just a few gems you can use working in either direction, and regardless of where you’re starting from. Sprinkle a little magic from one program with a little bit from another, and you’ve started to put together an incredible around the world trip, seeing all the coolest cities. Are you planning an around the world bucket list trip? Great article! I’m particularly tempted by the Asia Miles RTW redemption because I transferred a bunch of miles there from American Express to book a Qantas flight SYD – LAX and the availability was snatched up two hours before the transfer completed. Oh well! I’m thinking LAX-HKG-SIN-DOH-AMM-ORD on CX, CX, QR, RJ, and RJ. We love Hong Kong, haven’t been to Singapore or Qatar yet, and want to visit Jordan again to see the Dead Sea and take a trip to Wadi Rum as we were only able to squeeze in Petra last time. That would also keep us under the 20,000 mile cap at 19,987 according to GCMap. Of course, by the time I get around to booking it maybe there will be a more appealing routing for us. I’ve also read through some previous trip reports by people who’ve done the ANA RTW and it seems like a heck of a value as long as you avoid Lufthansa Group’s ridiculous fees. For a trip like that, I’d definitely want to hit Turkey on our way and would likely pay a little bit more to go LAX-ARN-IST-SIN-TYO-LAX on SK, SK, TK, SQ, and NH. I think that would be a fun trip.